Police say they recovered a loaded handgun during a routine traffic stop outside of Wrigley Field and the vehicle’s driver now faces weapons and other charges. 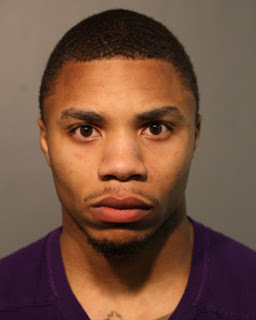 23-year-old Anthony Coleman of Kenwood was pulled over in the 3600 block of N. Sheffield around 1AM on May 4 for traffic violations, police said. A .40-caliber Glock semi-automatic blue steel handgun loaded with 15 rounds was recovered from the vehicle’s floorboard, prosecutors said. Coleman told officers that he did not have a concealed carry license, but that he was “in the process” of getting one, police said. He’s charged with aggravated unlawful use of a weapon, pot possession, and various traffic violations. His bail is set at $50,000.